No epic battles. No warring factions. No in-house rivalry. What good's a sport without all these elements thrown in. Over the years Formula 1 has seen epic battles aplenty. Some of these battles were of a rather friendly nature. Others, like that waged between Ayrton Senna and Alain Prost, or for that matter Michael Schumacher and Jacques Villeneuve, were downright nasty. Given the fact that there's been a lull in Formula 1 rivalries at the moment we decided to take a look at the fiercest Formula 1 rivalries there have been in the past. For those of you who believe team orders are a relatively new phenomenon in F1, we'll take you back in time to the 1930s, before the modern day Formula 1 world championship started out. Luigi Fagioli was signed on at Mercedes-Benz in 1935 because he was a driver who had shown great promise. However, Fagioli was soon to discover that Mercedes boss Alfred Neubauer would only allow Fagioli to win provided his German team-mates Manfred von Brauchitsch and Rudolf Caracciola weren't in a position to do so themselves. This riled Fagioli some. In the 1936 season of racing, on more than one occasion, Fagioli decided to ignore team orders. Caracciola was displeased and the feuding team-mates went their separate ways in 1937 when Fagioli joined the Auto Union team. But the rivalry didn't end there. It got worse. There was so much bad blood between the two that at the Tripoli GP Fagioli attacked Caracciola with a wheel hammer. How's that for a bitter feud? Stirling Moss was a gentleman driver. How could he not be? He belonged to that era of F1 in which drivers like Mike Hawthorn went racing with bow ties around their necks. 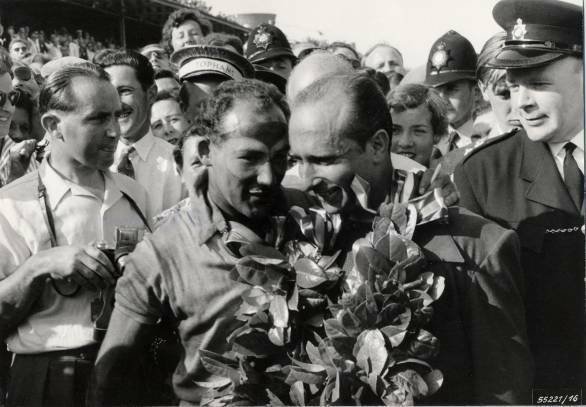 Moss, over the years, had developed something of a healthy rivalry with Juan Manuel Fangio. For the four years between 1954 and 1957 when Fangio won the championship, Moss finished runner up. But perhaps it was the rivalry between Fangio and Moss when they were team-mates in 1955 that was the most characteristic of that era. 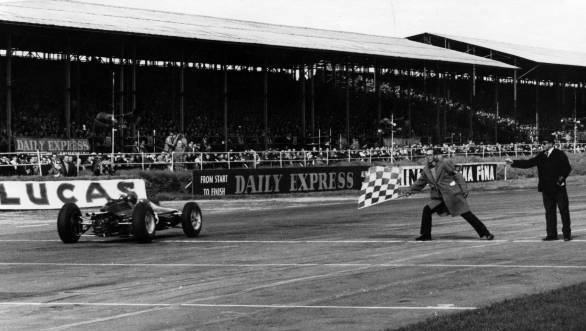 It happened at the 1955 British Grand Prix at Aintree, when Moss became the first British driver to win on home soil. But Fangio was the one leading the race in his Silver Arrow. Then on the very last lap Moss and Fangio crossed the finish line practically neck and neck - Moss won. But he wasn't convinced of his own victory there. Every time he asked Fangio whether he'd let him win, the Argentine would declare that Moss had just been faster that day. Friends or rivals, such gestures aren't likely to be seen in modern day F1. Jimmy Clark and Graham Hill were rivals from the minute they entered Formula 1, both in 1958. It was in the Sixties that the two drivers had their most epic of battles, fighting for the Formula 1 championship. Graham Hill won the first title of the two in 1962, and Clark retaliated with his own title win in 1963. In the years that followed Clark seemed to do better, winning the title once again in 1965. Hill suffered at the hands of unreliable BRM machinery. In 1967 he swapped his ailing BRM for the same machinery as Clark, a move that made Clark bristle to the point when he declared that he wasn't Graham Hill's team-mate, but Hill, instead was his team-mate. Even in equal machinery, though, Hill wasn't a patch on Clark, with several retirements in the 1967 season. It was the 1968 season that was supposed to be the ultimate face-off between the two. But Clark lost his life at Hockenheim that year and the world didn't get to see a potentially great championship battle. Ironically enough, it was Hill who felt most acutely, the loss of Clark. Just plain fast vs the thinking man's racer. Ayrton Senna and Alain Prost's rivalry in Formula 1 is one of the most talked about battles that the sport has ever seen. Not only because it involved two of the best drivers in Formula 1, but also because of the nature of the rivalry itself. Funnily enough Senna and Prost also formed one of the most effective and dangerous team-mate alliances that Formula 1 has ever seen. At the McLaren team in 1988, the duo was unstoppable, winning 15 of 16 races that season. The rivalry started in earnest at the 1988 Portuguese GP, when Prost was on pole. When Senna managed to get ahead of him at the race start, Prost fought back, pulling out of his rival's slipstream and retaking race lead. Senna ran wide and nearly put Prost into the pitwall. Then came the 1989 and 1990 Japanese Grands Prix. The first time around they neither driver was willing to slow down to avoid what appeared to be an inevitable collision. Prost was out of the car, but Senna was able to complete the race. He was, of course, disqualified later. Prost won the championship. The following year Senna had declared he'd prevent Prost (who now drove for Ferrari) from taking the lead at the first corner come what may. They collided once again. This time Senna won the title. Their rivalry was fierce and bitter and when Prost moved to Williams it was rumoured that he had a clause put into his contract that prevented Senna from being hired as his team-mate. Ironically enough, when Prost quit Formula 1, Senna was the one who wished he hadn't. It was one of those rivalries, after all. One of Formula 1's fiercest and most bitter rivalries, the tale of Gilles Villeneuve and Didier Pironi, is fraught with great tragedy. Villeneuve was a driver who was marvelled for his skill on track. His speed was never in question and his office commute from Monte Carlo to Maranello is the stuff of legends. But he was also a loyal team-mate, one who believed in the greater good of the team as a whole. It was this loyalty that made him support Jody Scheckter, ensuring the South African had a somewhat easy run to the 1979 championship title. So what transpired at the 1982 Canadian GP was something that Gilles couldn't accept. During the race the Ferrari team ordered Villeneuve and team-mate Pironi to go easy on their cars due to the fact that the conditions were tricky. Villeneuve took this to mean that the drivers were meant to hold station. Pironi thought otherwise and so drove right past Gilles. Villeneuve assumed Pironi was putting on a show for the crowds and then went and retook position. Didier, of course, was fighting, and passed Villeneuve once again for the win. Gilles swore he'd never talk to his team-mate ever again. And he never did. Two weeks later at qualifying for the Belgian Villeneuve crashed fatally. He'd kept his word. Nelson Piquet and Nigel Mansell probably go down in F1 history as the least liked team-mates ever. By that we mean that no two team-mates have disliked each other quite so much as these two have. In fact there was so little affection between the two that Piquet, pleasant chap that he is, once called Mansell "an uneducated blockhead". And if you think the tiff Seb Vettel and Mark Webber have had over an improved front wing was bad, you ought to see what Piquet did to Mansell in 1986. When Piquet discovered a new differential that the Williams team had come up with, he kept it a secret from his team-mate. It was put only on to his car, and he used it to win the Hungarian GP. 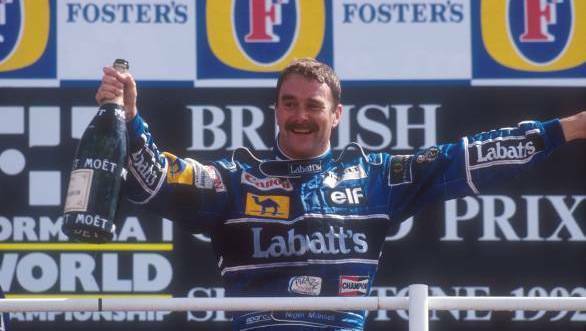 Needless to say, Mansell was fuming. In fact their rivalry meant that while they were dueling each other, it was Alain Prost who went on to win the title that year. And while their partnership ended in 1987 when Piquet left Williams, it didn't really help matters much. He went around telling the world that Mansell was stupid and also said some far from complimentary things about Mrs Mansell. Ahem! Michael Schumacher's very first world championship title was won under questionable circumstances. Few can forget the way he pulled off track at Adelaide and then swerved back onto the track and into Damon Hill's Williams. Schumacher went into retirement straight away, and soon after, Hill did too. Schumacher thus became Formula 1's first ever German world champion in 1994. Three years later, Schumacher was in the news because of his rivalry with Jacques Villeneuve. At Jerez, at Curva Dry Sac, Villeneuve attempted to make a move past Schumacher. Schumacher turned into his rival. This time, though, it didn't work. Villeneuve continued on his race and Schumacher was out of contention. The move meant he was stripped of all his championship points. But of the men who took the championship challenge to Michael Schumacher, Mika Hakkinen was the one who stood out the most. Schumacher fans often grudge The Flying Finn his two world championship victories in 1998 and 1999. The first they often say was because the Ferrari wasn't as quick as the McLaren. The following year Schumacher's crash at the British GP put him out of the title race and Hakkinen took his second back-to-back title. But that doesn't change the fact that Hakkinen was a skilled driver. So skilled in fact that his overtaking manoeuvre on Schumacher at the 2000 Belgian GP is one of the greatest moves we've seen in F1. Look it up on YouTube! 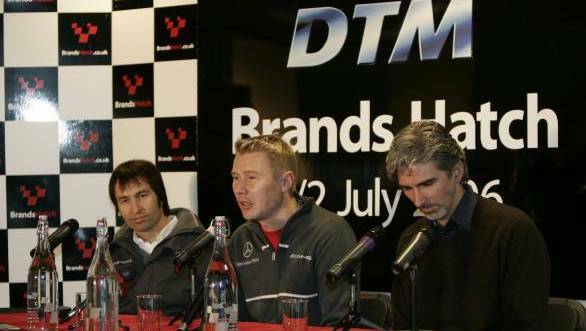 When Fernando Alonso joined McLaren in 2007, he assumed he was going to be the team's de facto Number 1 driver. 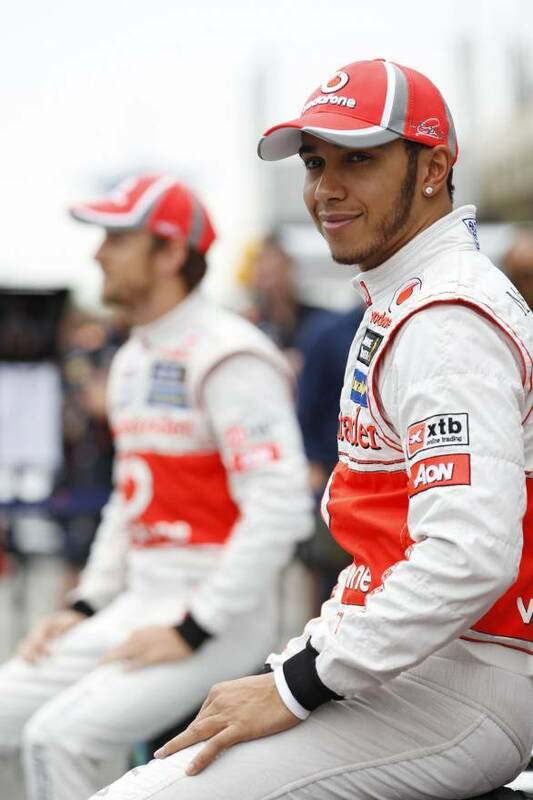 Needless to say Alonso was a touch surprised when blue-eyed British boy Lewis Hamilton came along and stole his thunder. Hamilton's connect with McLaren and Ron Dennis went all the way back to Hamilton's teen years. What happened, given that Alonso wasn't the team's number 1 driver, and given that Hamilton was fast, was that the race wins were up for grabs. Their scraps were fierce - Canada 2007, Indianapolis the same year, and some more tiffs as the season progressed. Ultimately, Alonso left the team at the end of the 2007 season. And the next year Alonso even said he was rooting for Felipe Massa to win the title as opposed to his former team-mate. Now the pair of them claim that they have managed to get past those incidents and that it's water under the bridge. We'd like to see what happens when they end up banging wheels again.